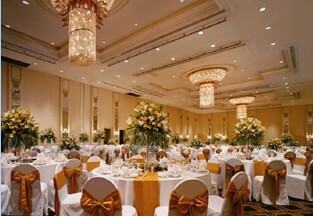 3M-NANO 2011 will be held in the city of Changchun, at Shangri-La Hotel, which serves as both the official conference hotel and the venue for the technical program. 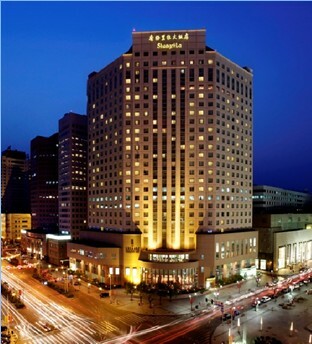 Being the first and only international 5 star hotel, Shangri-La Hotel, Changchun, sits at the junction of Chongqing Road and Xian Road-the financial, business and entertainment center of Changchun city. Shangri-La Hotel has been named to 2008 "Top 100 Asia Hotels" by (Conde Nast Traveler) and 2008 "Top 100 China Hotels" by (Travel+Leisure), and awarded the "Best Business Hotel" in Changchun by (Business Traveller) for the fourth consecutive year. 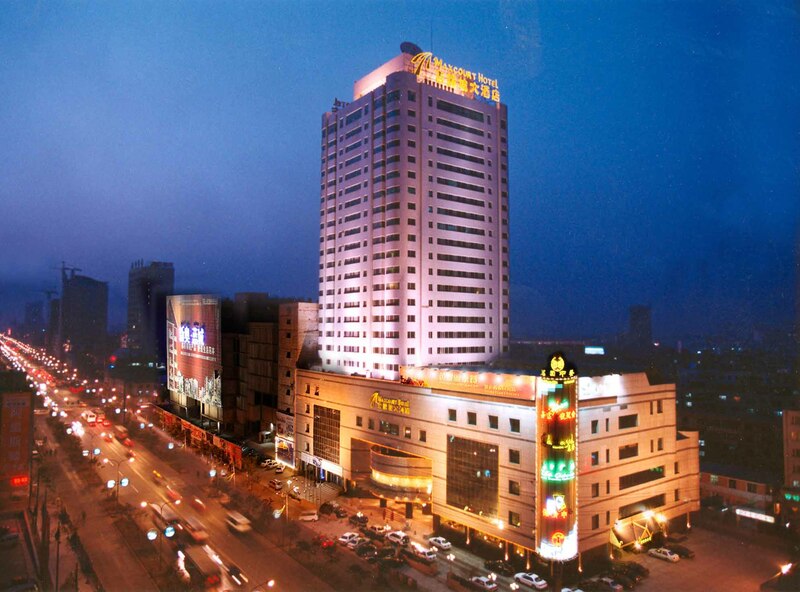 Standing 25 stories high above the city, the hotel offers panoramic views of Changchun. The hotel’s 458 guest rooms, with the largest space and most comprehensive facilities in the city, provide a convenient, private and quiet haven for short and long term guests. 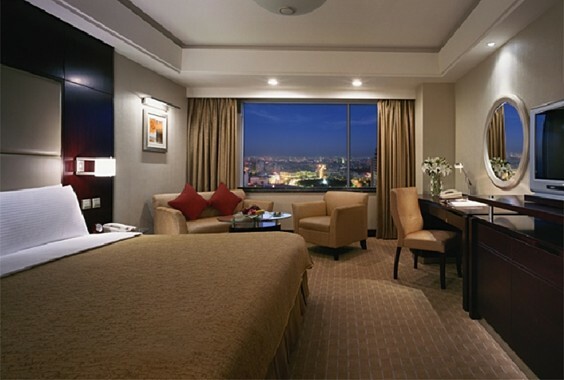 The room category ranges from Superior Rooms (36 square metres), Deluxe Rooms to Suites. Complimentary high-speed broadband internet services are available in all guest rooms. The hotel’s comprehensive security monitoring system and an emergency and fire safety response system also provide guests with a safe living environment. By air: The conference venue is about 50 minutes by bus from Changchun Longjia International Airport. 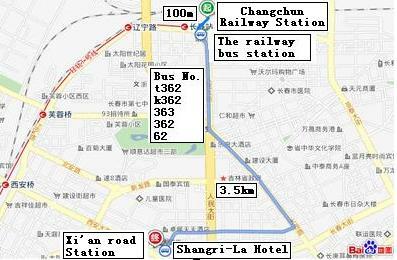 The airport shuttle bus is available for approximately RMB 25 (~€3). Taxis and the airport shuttle bus can be found on the ground floor of the arrivals hall. Taxis are metered, and fare between Changchun International airport and Shangri-La Hotel, Changchun generally costs around RMB100 (~€12) per journey. By railway: Changchun Railway Station is located in the northern part of the city, at the northern end of Renmin Dajie. From this station, you have access to/from Beijing, Shenyang, Harbin, and many other cities.<?xml:namespace prefix = o ns = "urn:schemas-microsoft-com:office:office" />The conference venue is about 15 minutes by taxi or 20 minutes by bus (bus number 62 or 362 etc.) from the train station. A taxi drive should cost about RMB 15 (~€1.7). 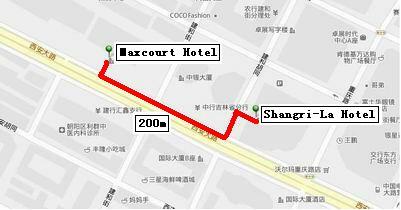 3M-NANO 2011 international conference has arranged accommodation at Maxcourt Hotel (4 stars) at very affordable rates, within walking distance to the Shangri-La Hotel. The Pre-conference Workshop on 29 August will be held at Huayuan Hotel (7000 Weixing Road) that is 30 minutes bus drive from the conference venue. IMPORTANT: Buses will be provided for 3M-NANO 2011 participants at 8:00 a.m.,departing from the entrance of Shangri-La Hotel and Maxcourt Hotel.